Infinite Variety Produtions, is a New York State 501c3 that began over six years ago. Our mission has been to shine a light on the unknown stories from women's history. Since we began in 2011, IVP has produced a multitude of shows, all based on stories and events from women's history. Our shows have travelled all around the United States but now?? It is time for us to bring these stories to a world wide audience. We have a new play that is ready to be seen by a wider audience. TheSpace @ Venue45, has offered us a slot and is excited to work with IVP. It is one of the festival's original venues, first managed by theSpaceUK team in 1995 and perfectly located just off the Royal Mile on Jeffrey Street. The venue has an established reputation for producing theatre, musicals, dance, physical theatre, music, and opera. WHAT WILL WE (HOPEFULLY!) BE BRINGING TO THE UK? 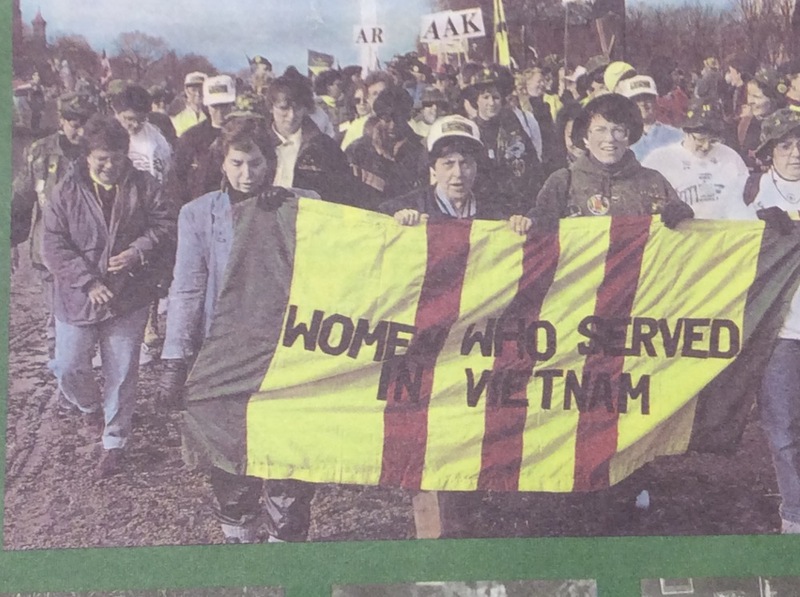 Over 50 years ago, thousands of young American women went to Vietnam to serve their country during the war. 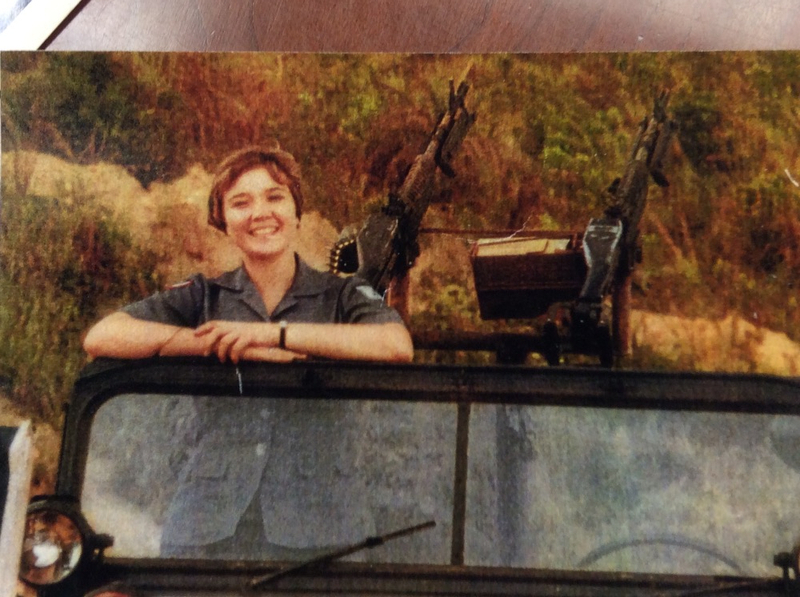 In 2016, Infinite Variety Productions interviewed five of these women-- two military officers, three civilian employees, all volunteers. 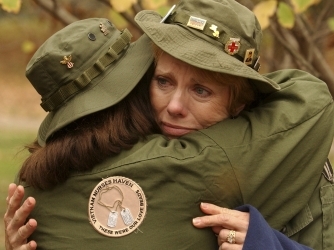 Hearing their poignant, horrific, funny, and endearing memories, we set out to tell the often unknown, but extremely timely story showing the human side of war. Ann Kelsey, 1969. 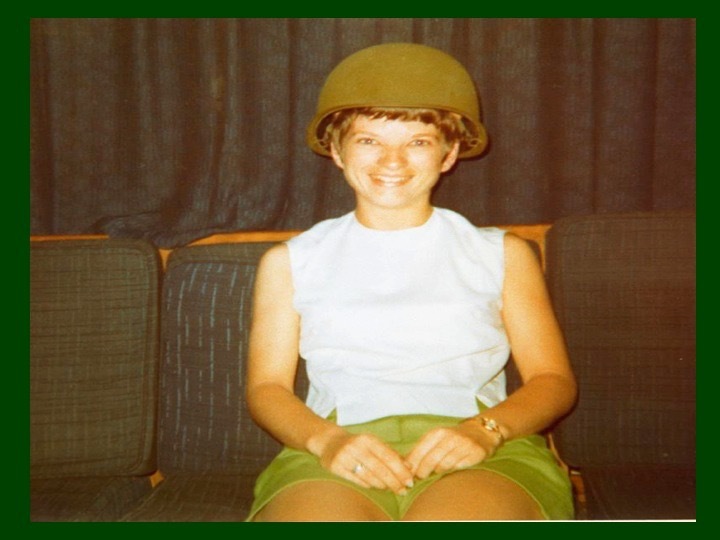 Served in Army Special Services as a Librarian. The script is created directly from the oral histories with an innovative set that uses only five blocks, which evolve into bunkers, rooftops, military vehicles and more. For the past two years, IVP has gone through an incredibe journey as we learn, and share the complex, courageous and impactful lives of these five women. 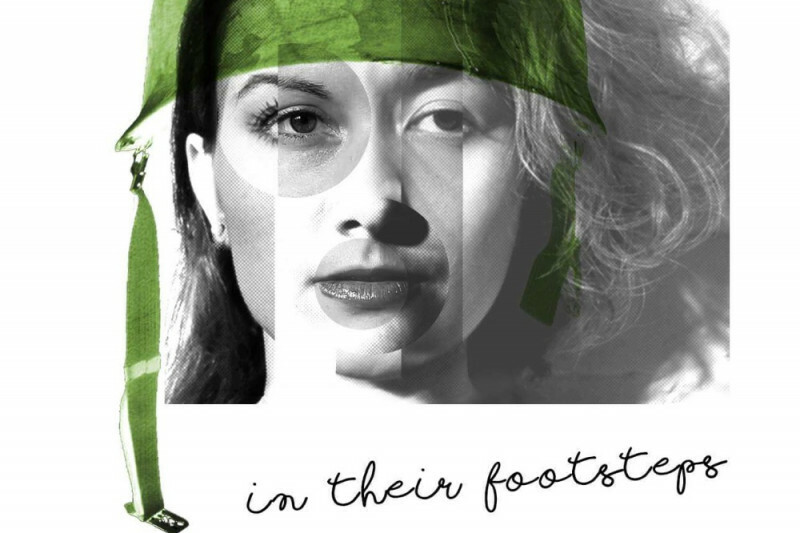 The result is a new play called In Their Footsteps. 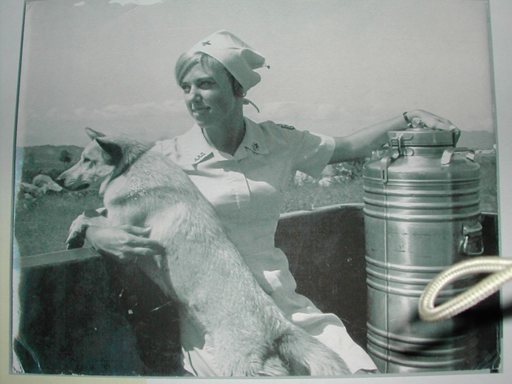 Jeanne Christie, Donut Dollie and Winnie the Pooh, the dog that protected her in Vietnam. IVP's newest work premiered at Under St. Mark's in NYC, was then brought to Sarah Lawrence College for the 2018 Women's History Conference and recently performed for a special benefit performance at The Artist Co-Op. Donut Dollies were given that name because they really served donuts in the war zone. However, it was too hot to serve donuts in Vietnam! But the name stuck. WHAT WILL YOUR FUNDS GO TOWARDS? We have enough money as of now to register (which we just did!) We need your help getting, staying, and creating there. The remainder of money raised will go towards keeping us fed, transportation around the city, printing marketing material (it's all about the flyering in the streets at Fringe! ), costumes, props, and gives us a cushion for any unexpected expenses. WHY IS THIS STORY IMPORTANT NOW? Governments lying? Women fighting their way through a patriarchal environment? Sounds similar to our current events, no? Friendships, strength and hope that can give us strength to get through these hard years.